The Balangay Voyage Expedition is an adventurous attempt of the 35-crew members led by Arturo Valdez to commemorate the 600th year of Sulu Sultan Paduka Batara's voyage using wooden boats originally designed by the Kingdom of Butuan (now the province of Agusan del Norte) in the 4th century. 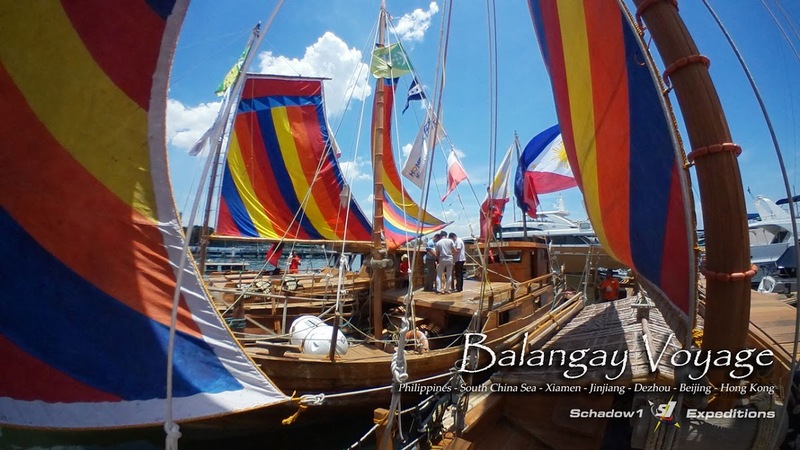 Using the same wooden boats called Balangay, the expedition braved through the vast South China Sea to reach Xiamen, Fujian province of China to relive the footsteps of the great Philippine ancestor. In the year 1417, Sultan Paduka, his family and three hundred men have traveled all the way from the island of Sulu in the Southern Philippines and crossed the vast Sulu Sea and the South China Sea to establish trade relations with the Chinese Empire under the Ming Dynasty. It was an attempt never before made by any Southeast Asian neighbor during that time. They used ancient boats called "Balangay" which was first used by the Kingdom of Butuan of the ancient Philippines in the year 320 A.D. However, due to an unknown illness, the Sultan died in Dezhou where his second wife Kamulin has stayed in China together with his sons Wen and An to whom the Hui people in China became their descendants. Sultan Paduka's eldest son, Rakiah Baginda, went back to Sulu and succeeded his father's reign. Led by former Environment Undersecretary Arturo Valdez, 3 balangay replicas where built in Butuan, Agusan del Norte and Sibutu, Tawi-Tawi. This was then used by the 35-crew members of the expedition to traverse the South China Sea to which many of the crew were also part of the Philippine Expedition to Mount Everest in 2006. Weather conditions and financial issues affected the expedition, therefore, delaying the expedition for over a year to commemorate the 600th anniversary of Sultan Paduka's expedition in 2017. Three balangay replicas were constructed and were made of yakal, lawaan and dungon wood. The "Sultan Sin Sulu" was made as the exact replica of the ancient Balangay used by Sultan Padaku. The "Samang Tawi-Tawi" , which was constructed in the island of Sibutu, is fitted with a 250-horsepower engine; and the "Lahing Maharlika" with a 130hp engine. Samang-Tawi-Tawi which was named after the Sama Tribesmen of the province of Tawi-Tawi pulled the Sultan Sin Sulu (Kingdom of Sulu) over the expedition. 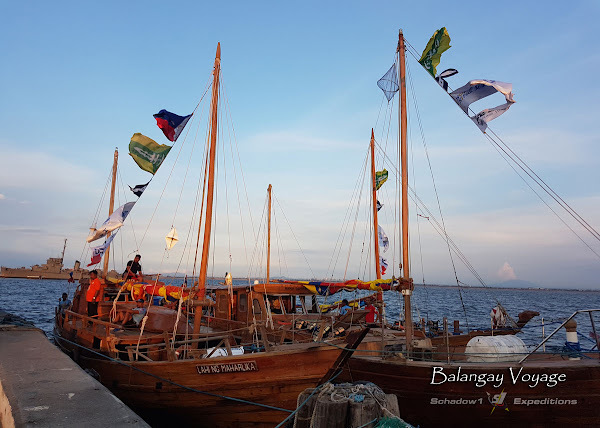 Lahing Maharlika, named after the pre-Hispanic Filipino people, escorted the other 2 balangays. 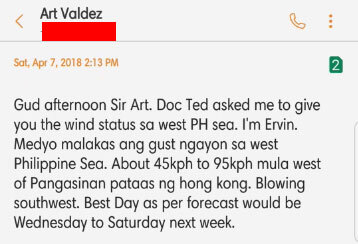 Dr. Ted Esguerra, the Balangay Voyage expedition Emergency Medical Service Physician, has contacted me on April 7, 2017, to provide weather update support to the expedition crew. Upon briefing with expedition leader Art Valdez, he initially wanted to start traversing the South China Sea on April 16. However, as per forecast, there is only very little window to pursue the expedition due to rough conditions in the northern extremities of the sea including Taiwan Strait. Swells of over 2 meters are prevalent with over 60 kilometers per hour of wind and gusts of 95 kilometers per hour. It was delayed to April 20. 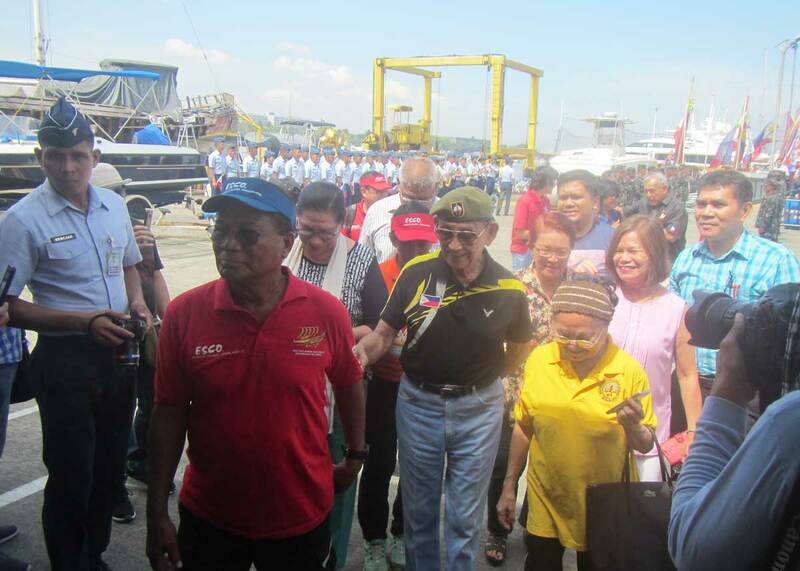 But conditions still made it impossible for the crew to traverse the sea, instead, they went back south to Butuan to pay homage to the inventors of the Balangay and work on additional repairs due to the rough condition in the Visayas Sea. Finally, I was advised that he is interested to traverse the South China Sea on April 30, 2018, for a 3-day voyage. And simulations for the weather forecast I made on April 25 seemed to have been favorable for April 30 to May 3. Due to the good weather, it was decided upon to head to Hong Kong first before going to Xiamen. Running another simulation a day before the intended departure from Poro Point, although conditions on the South China Sea is very calm, northeast winds coming from Japan has been intensifying which may affect Taiwan Strait that could hit the balangay head-on with over 60km/h of winds. 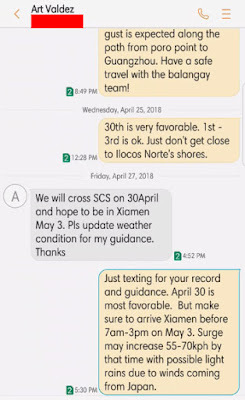 This could only give them a very short window, thus the expedition left very early at Poro Point on April 30 right past midnight. I have been running weather simulations on 6-hour interval since they left Poro Point due to the sensitive time-frame of the South China Sea traverse. And each simulation resulted that Taiwan Strait's rough condition over the shores of Quangzhou gets earlier than expected on each simulation. Thus I have advised that the boats should have already docked in Xiamen before May 3 on 3AM or else the possibility of experiencing over 60km/h winds and light rain is highly imminent, which may be dangerous for wooden boats. 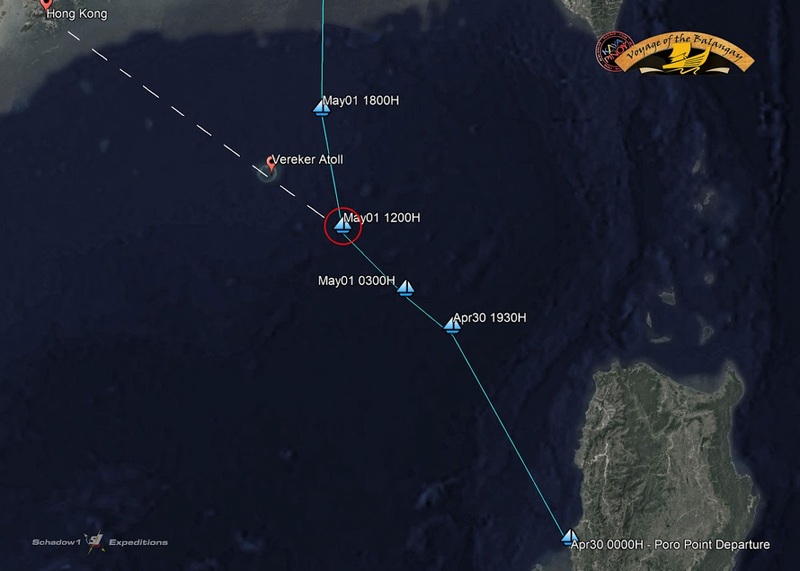 36 hours after the departure in Poro Point, the crew members have deviated from their path to Hong Kong starting noon of May 1 near Vereker Atoll and instead, headed directly to Xiamen. 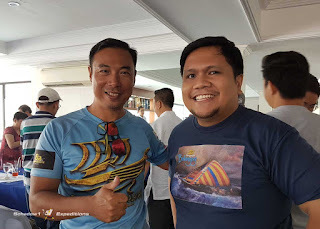 The Balangay Expedition indeed started to experience the start of the worsening condition with zero-visibility due to the fog on May 2 and reached Xiamen a day earlier on 3PM of that day. I got a report from Dr. Ted Esguerra that the weather report was accurate as strong gusts did happen at the dawn of May 3rd, 12 hours after their early arrival. 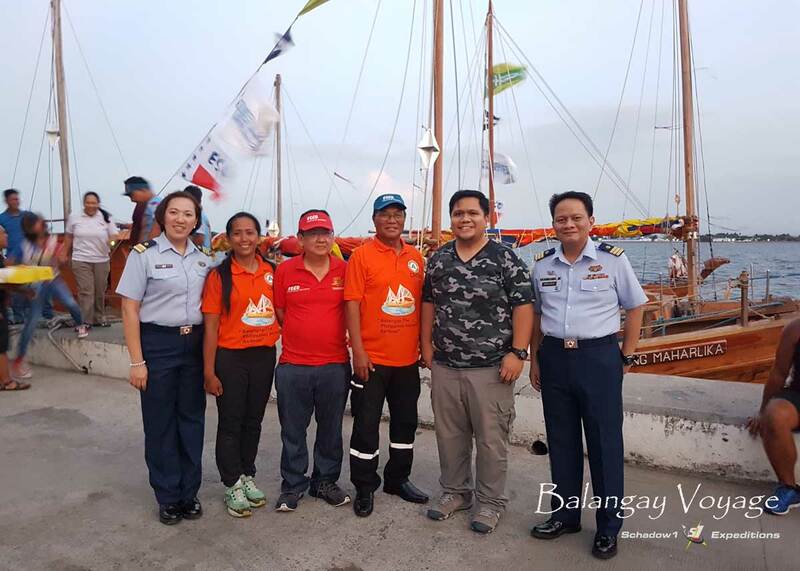 The Balangay Voyage embarked on a 22-day journey from La Union to mainland China. Under the leadership of Arturo Valdez and the 35 crew members including Mt. 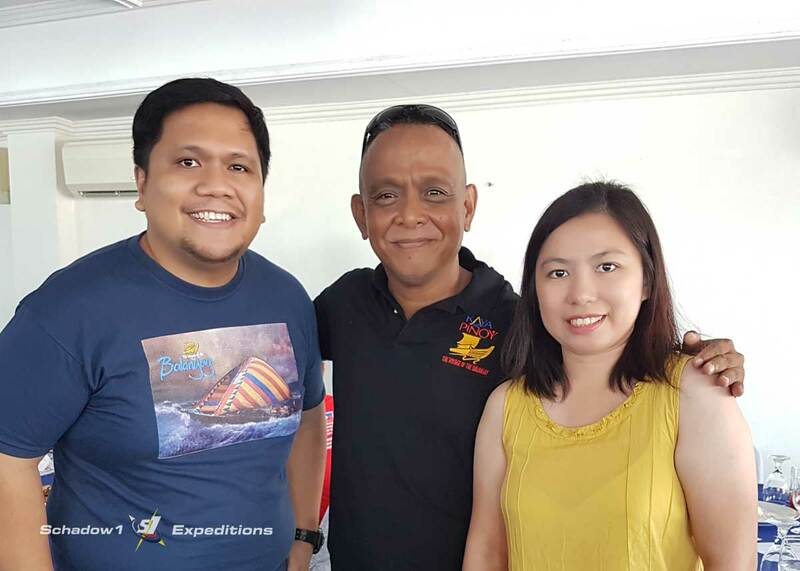 Everest Philippine Expeditioner Carina Dayondon, Fung Yu and expedition medic Dr. Ted Esguerra. 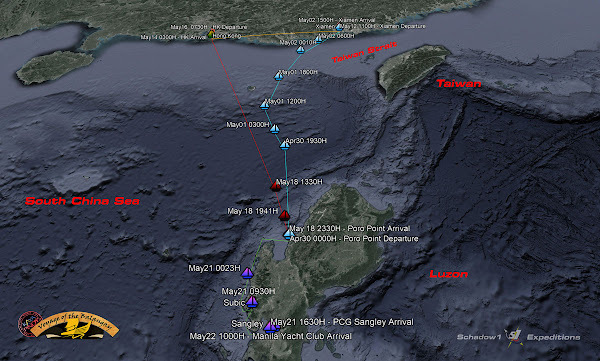 The crew left Poro Point in La Union at exactly midnight of April 30 and headed to Xiamen, Fujian Province in China a day earlier so as not to catch rough winds set to arrive on May 3. The team faced zero visibility upon entering the Taiwan Strait and was hampered by low visibility in radar due to the boats' wooden structure. This is a dangerous undertaking as the strait is busy with a heavy concentration of vessels. Shortly after docking at Xiamen and being welcomed by the Chinese government and Philippine consulate, the team went to Jinjiang to visit Jose Rizal's monument which is an exact copy of Rizal's monument in Luneta Park, Manila. They then went to Dezhou on northern China to pay homage to the tomb of Sulu Sultan Paduka, and the ancestor of Hui people in China. The tombs of Sultan Paduka, his children An and Wen. The expedition followed the footsteps of Paduka and headed to Beijing. The same undertaking of Paduka as he visited and opened trade relation to the Sulu Kingdom in the southern Philippines with the Emperor Zhu Di of Ming Dynasty. The crew left Xiamen on May 12 for Hong Kong, which was originally planned as the first stop-over but was canceled due to impending worsening of weather at Taiwan Strait. The voyage re-embarked to another 3-day journey home across the vast South China Sea and arrived at Poro Point in La Union on May 18th before heading back to Manila, passing by Subic and Sangley Point in Cavite. Arrival honors and end-of-voyage celebration took place on Manila Yacht Club last May 22, 2018, and presided by Former President Fidel V. Ramos, Justice Antonio Carpio and friends, and supporters from various sectors and agencies in the Philippines.